A fascinating dual re-creation of postwar traumatic stress. Born in Turin, Italy in 1964, Tavarelli is a director and screenwriter who has worked extensively for both cinema and television. 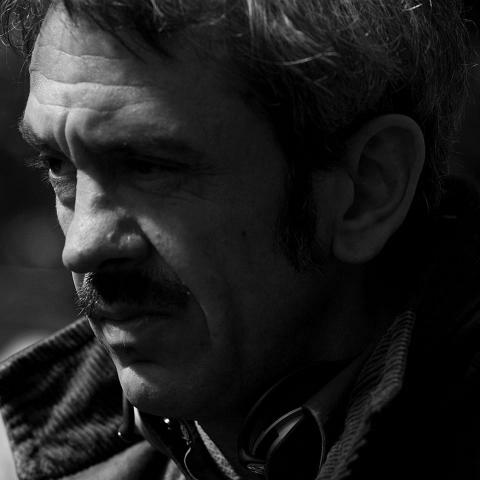 His features include: Partami via (1994), Qui no è il paradiso (2000), Liberi (2003) and Venice Best Film nominee Non prendere impegni stasera (2006). Director Gianluca Maria Tavarelli transports us to the Iraqi combat zone in Another South, following a young Sicilian woman through a complex tapestry of flashbacks as she searches for answers. Stefania (Isabella Ragonese) is a nurse from Gela, Sicily, who has taken part in a humanitarian mission to help Iraqi children. Although she is confined to a secure area with other volunteers, there is something important she needs to search for outside the enclosure. Truthfully, Stefania is on a quest for revenge. In her determination, she decides to don a burka and sneak out. Stefania hires a reluctant interpreter, Khaleed (Mehdi Dehbi), and pays him to accompany her on her quest. Part of their deal is that he does not ask her questions, but who is she looking for and why? Tavarelli’s brave film forces viewers to experience the disorientation of war, its erosion of compassion and destruction of chronology and any sense of continuum.